In exchange, "DPR" agreed to exclude from the list two dozen criminal criminals. 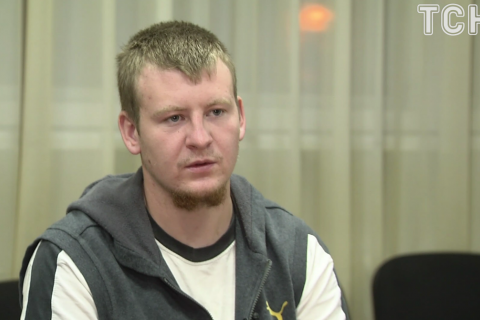 The terrorist organisations "DPR" and "LPR" demand the release of the captured Russian military officer Ageyev in the framework of the prisoner exchange. They position Ageyev as a "militiaman", the representative of Ukraine in the humanitarian subgroup of the Tripartite Contact Group Iryna Herashchenko said in Facebook on Monday. "Ukraine's position here is clear: he is a war criminal. We expect that the Russian authorities recognize his presence in Ukraine. A court must determine the measure of its crime, and the world should know the details of the crime because these are the facts of the Russian military presence in Donbas," Herashchenko said. In exchange, the representatives of the "DPR" suggested to exclude two dozen imprisoned in Ukraine criminals who have nothing to do with the events in Donbas. "At the same time, "DPR" and "LPR" continue to demand an amnesty and release of 45 more people who are not related to the conflict and who have committed serious crimes like members of the special force Berkut who shot the Heavenly Hundred and the organizers of the terrorist attacks in Odesa and Kharkiv. Obviously, this blackmail is inadmissible," Herashchenko said. She said the separatists objected the participation of Ukrainian ombudsman Valeria Lutkovska in the skype conference of the Minsk humanitarian subgroup, demanding a repeated diplomatic note of the Foreign Ministry confirming the status of the authorized representative. Herashchenko said Ukraine had to extend the list of prisoner exchange list primarily at the expense of civilians that are being arrested "DPR" and "LPR" for their pro-Ukrainian position and falsely charged of sabotage and espionage. It was agreed during the conference that the OSCE coordinator in the group Tony Frisch will visit the imprisoned hostages in the occupied territories.